For many of us, cars are not just cars. They hold special memories that take us back and remind us of where we were and who we were with. 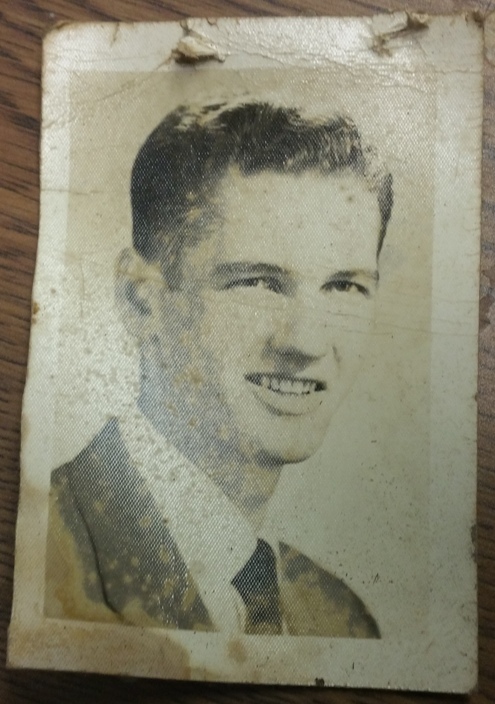 Right now we’re working on a family restoration for Tim’s grandmother. This car will take her back to being 16 years old in upstate New York, when she first learned to drive. It’ll take her back to memories of when she first met and dated her husband of over 60 years now. We’ve already heard how she named the car Ruthy after buying it from a nice, older lady with the same name. This is a family project, and whenever family is in town, we get together to work on whatever we can. Tim’s aunt owns an upholstery business up in New York, Barbara Jean’s Custom Upholstery, and is doing all the interior work. We’re doing the paint and body, and many others are helping with the labor in getting it all ready. It’s a team effort. 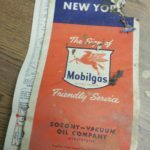 While we’ve worked on Ruthy, we’ve had the pleasure of coming across little mementos that we’ve found in the car. Just recently, we discovered a few things from inside the glove box that we hadn’t been able to get open before. 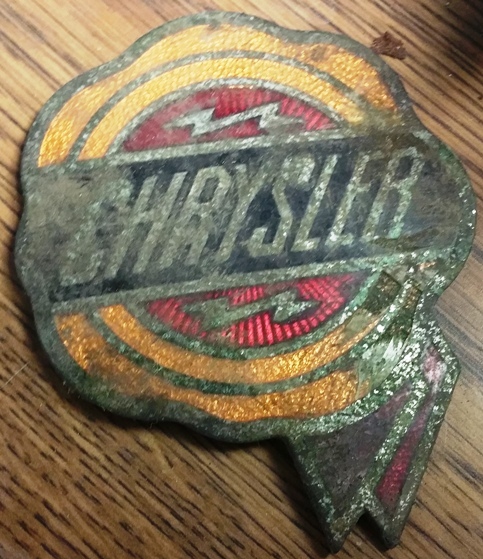 We found some emblems and an old ash tray, which are great to have. 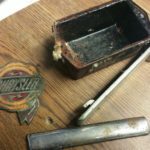 A lot of these little pieces are hard to find for the older classic cars if they were missing. 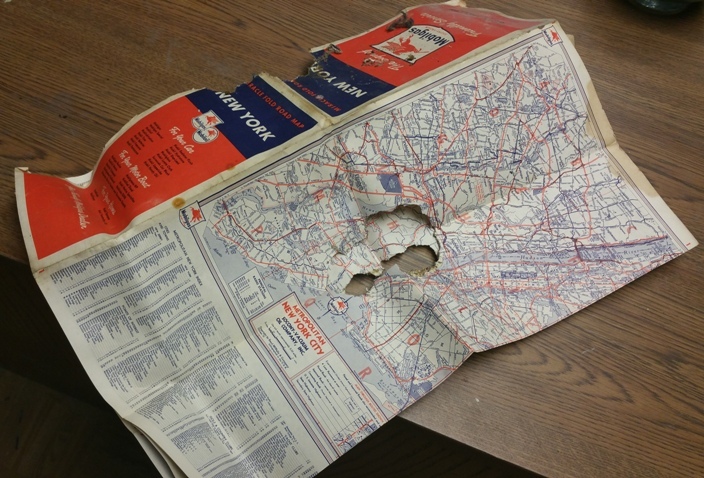 We also found a map of New York state in the glove box. There was a hole cut out of the middle that most likely wasn’t there before. We suspect a little mouse made it’s way through the car at some point. 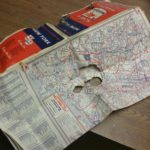 (Maybe the one we found a skeleton of on Day 1 of Ruthy’s Resto…) There wasn’t a year printed on the map, but we assume it’s from the 1950’s since everything else is. 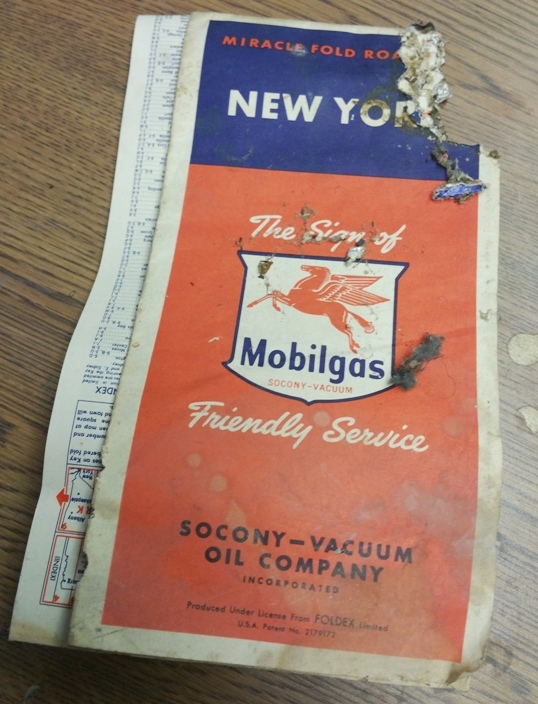 Also in the glove box, this pay stub belonged to Tim’s grandmother from 1954. 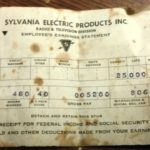 Sylvania Electric Products Inc. opened in 1953, and had a huge TV set assembly plant in Batavia, NY, close to where she lives now. If you take a look, Ms. P. Roggen worked 48 hours and took home $43.69. 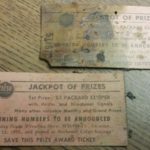 Taxes weren’t so bad back then! 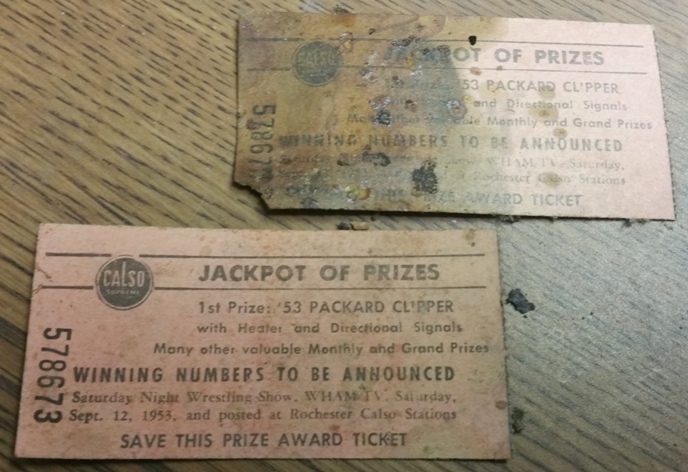 Another thing we found were these prize tickets from 1953. It looks like the 1st prize was a ’53 Packard Clipper with heat and directional signals! These are just little things, but they sure are cool to find. 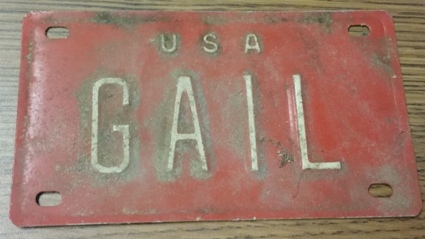 Next up is this little red license plate with Tim’s mom’s name on it. 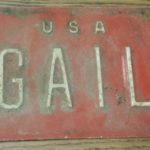 Gail was the oldest of three daughters, so it must have been hers from when she was a kid. 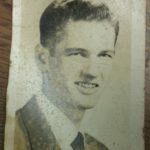 I saved the best for last with this old photo of Tim’s grandfather, Allen, looking very handsome. Tim’s grandma says he was about 19 in this picture. She is really enjoying hearing about how the car is coming along, and about all these little mementos we’ve found. 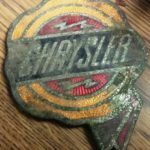 At TD Customs, we have heard countless stories about cars and the sentimentality they hold for their owners. 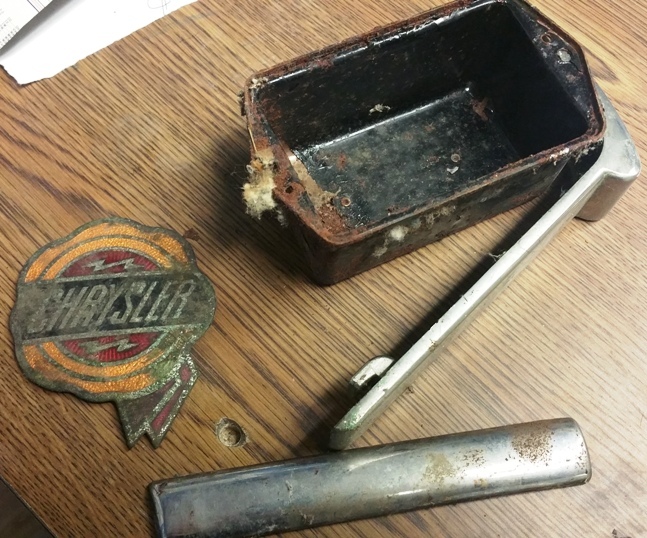 When we’re restoring a car, we know there is always a story behind it. 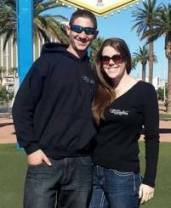 We totally understand the love and appreciation our customers have for their cars because we feel the same about ours. 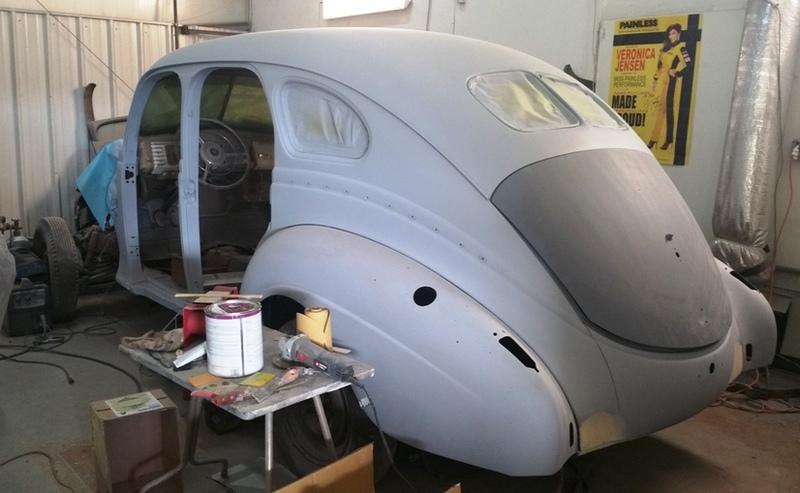 ‘Ruthy’ is a 1939 Chrysler Royal that will be cherished by the family for many years. Catch up on all the other blog posts about Ruthy HERE! Here is what Ruthy looks like currently. More work and progress pictures to come! No Replies to "Cars are not just cars; they're memories"